In order to marry location and communication in a safe and reliable way, we have mainstream technologies – assisted GPS, GSM cell tower location, and Wi-Fi hot-spots forming a perfect trifecta effect (power of 3). This provides the same power, accuracy and quality that you expect from leading smartphones, but in a colorful fashionable GPS wristwatch. 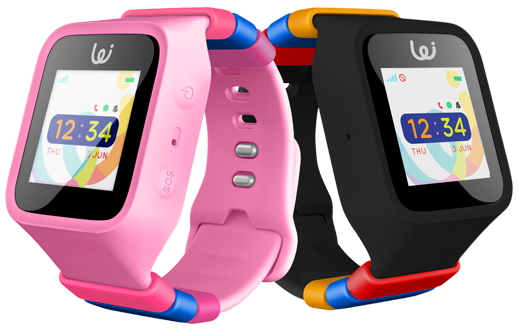 Parents/Guardians setting-up an account, will have full access to own personalized GPS Watch login, username and password on mobile. Assisted GPS, GSM cell tower location, and Wi-Fi hot-spots forming a perfect trifecta effect (power of 3). Set geo-fencing landmarks such as home, school, or at friend’s house. Look at history to see where the child has traveled. Call iGPS Watch from any mobile device. Send voice messages to and from watch. Receive incoming and make outgoing calls from iGPS Watch. 300 minutes a month talk time, unlimited GPS tracking.